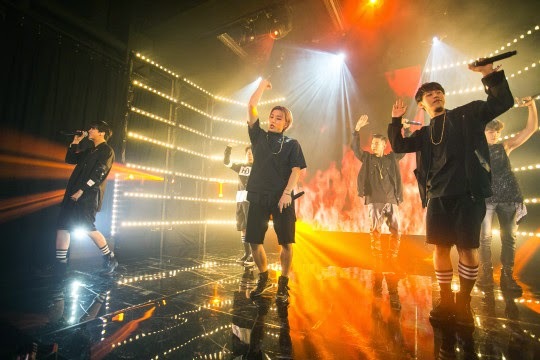 Six-member boy group B.A.P charmed 300 fans and brought the house down with their first performance for MTV Sessions which was held exclusively for pass holders at Resorts World Sentosa’s Waterfront Studio on September 11. 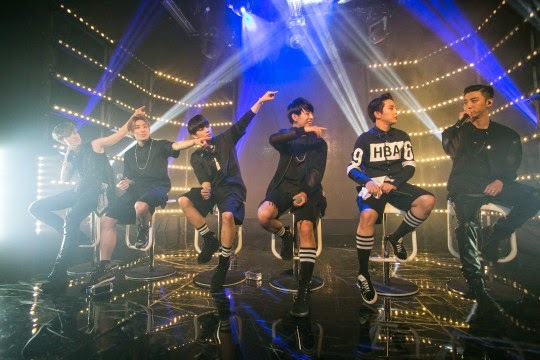 This is the fourth time that B.A.P has visited Singapore. 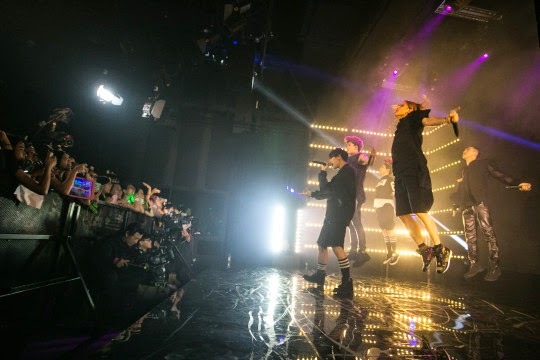 B.A.P’s members Yong Guk, Zelo, Him Chan, Dae Hyun, Young Jae, andJong Up started the night with “Excuse Me.” Three hundred anticipating BABYs went wild at the appearance of their Best, Absolute, and Perfect idols. But it was “Hurricane” that set the roof on fire and had fans singing along excitedly. 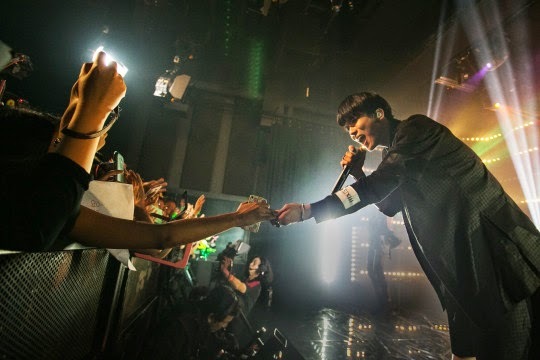 B.A.P also showed the loving, romantic and cute side of them with “Where Are You” and “Love Sick.” To the dismal of the fans, the night ended, with “1004” (Angel) from their first full length album, “First Sensibility“. Singapore’s Chili Crab is a hot favorite among visiting Korean celebrities, another local street-food-delicacy Laksa found love from Him Chan. 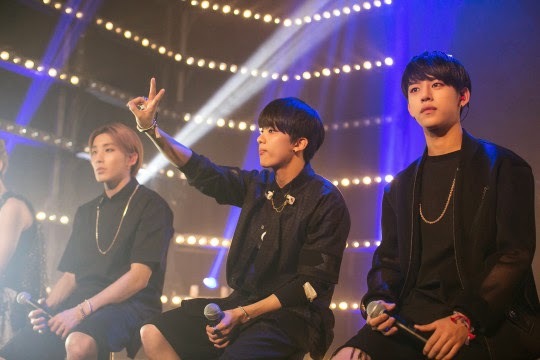 After giving their all in the six-song set, B.A.P said their goodbyes and certainly left fans thirsting for more! 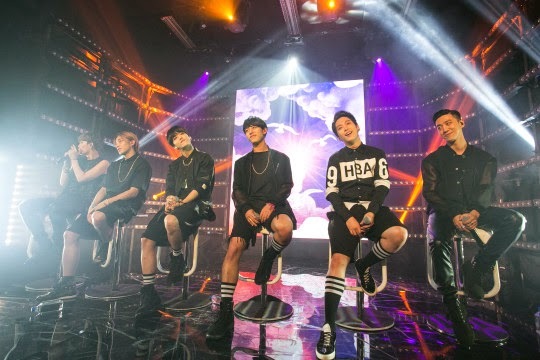 Here’s how you can catch the show — MTV Sessions: B.A.P premieres on MTV Asia on Thursday, September 25 at 7pm (WIB), 8pm (SG), 9pm (MAL) and 11pm (PH) with additional content available online at www.mtvasia.com/mtvsessions. It premieres in Thailand on Friday, October 10 at 8pm. 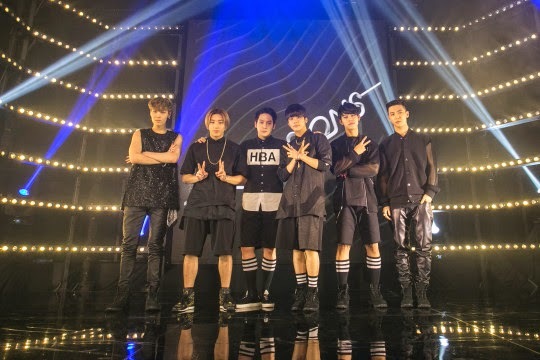 MTV Sessions: B.A.P is ignited by Xpax, and in partnership withResorts World Sentosa Singapore. Thailand: Saturday at October 11 at 10am, Sunday, October 12 at 10pm, Tuesday, October 14 at 1pm and Thursday, October 16 at 5pm. This article is contributed by Rebby and ds dreamer. 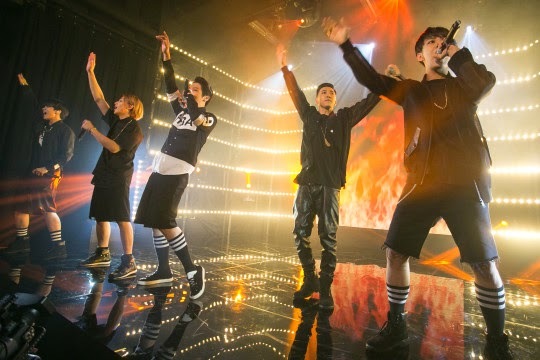 B.A.P started with the rap-heavy “Excuse Me”. 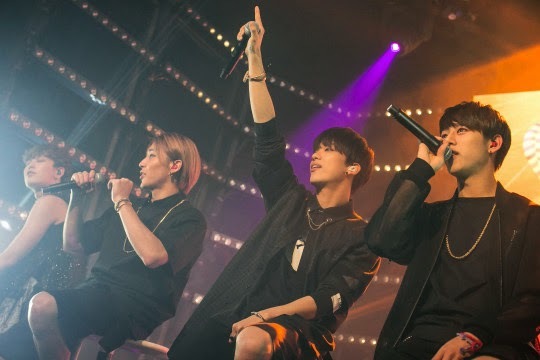 B.A.P greeting the 300 BABYs in the audience. Zelo posing for the lucky fans. B.A.P with MTV VJs Alan and Hanli who were the emcees of the night. Jong Up too interacted with the screaming fans. Remember to catch them on MTV Sessions! 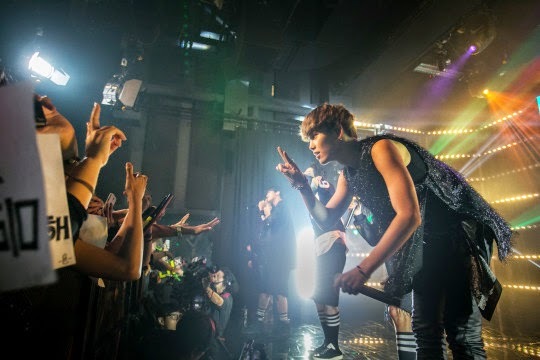 Young Jae puts up a Victorious sign for fans. 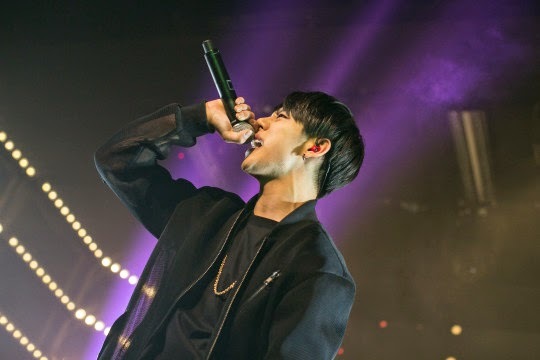 Dae Hyun hits a high note effortlessly. 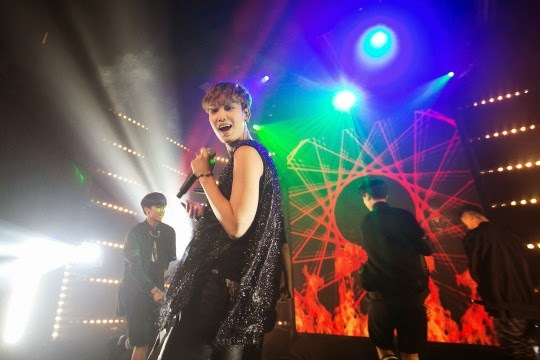 Zelo looks a little mischievous in this shot. 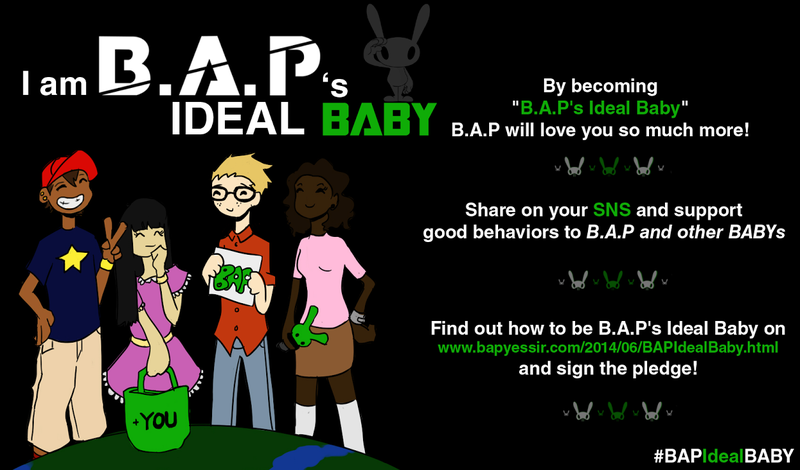 Coming soon: B.A.P answers questions from Soompiers!